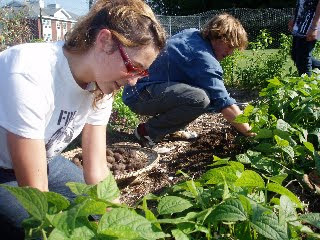 Marie Iannotti has a great article on About.com about the question Is Gardening Good Exercise? Marie points out that according to the University of Virginia, gardening rates up there with other moderate to strenuous forms of exercise, like walking and bicycling. It all depends on what gardening task you are doing and for how long. Like any other form of exercise, you have to be active for at least 30 minutes for there to be a benefit. Also, check out this really cool Garden Calorie Counter from Calorie Count.